WooCommerce rich snippets plugin allows you to provide more information about your business in the Google search results. 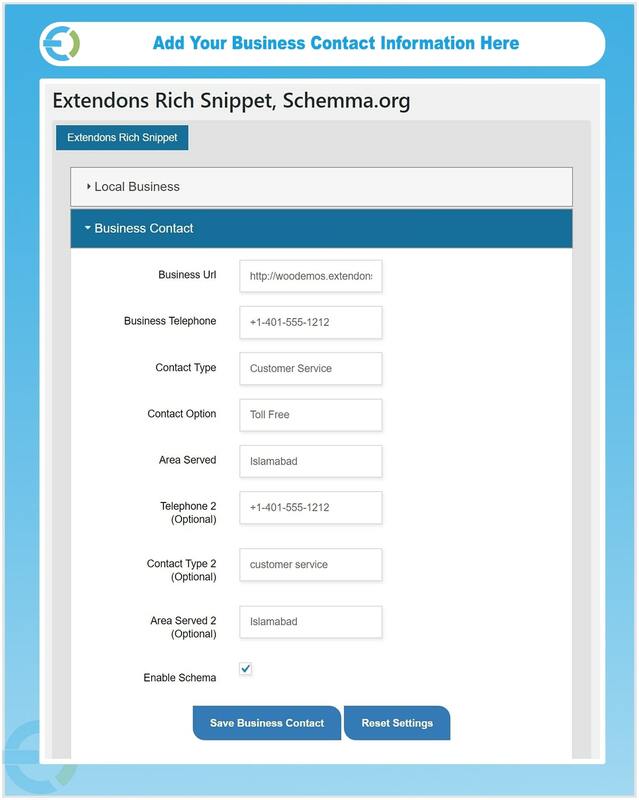 It helps you add schema details for local business, website links, breadcrumbs, rich cards, logo and video . You can also enable product schema to extra information in results such as price, reviews, ratings etc. With rich snippets WordPress plugin, you can also enable breadcrumbs to create ease for the users in navigating the website. Bring more traffic to your online store by enriching the display of the home page, carousel, and logo in the schema. 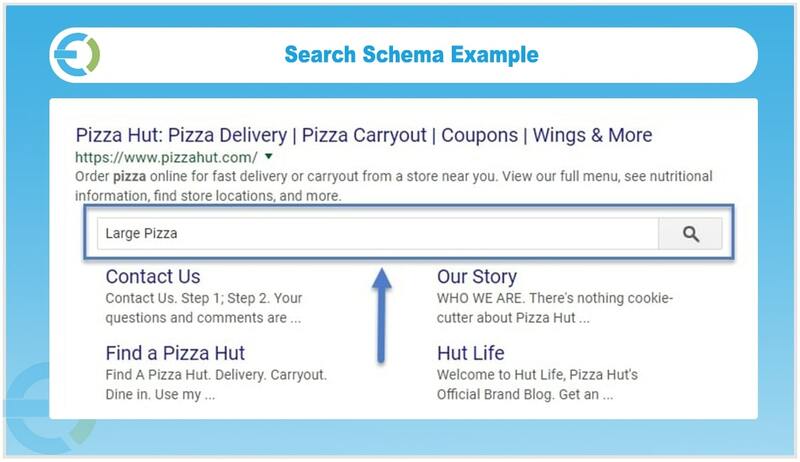 Maximize social media exposure by adding social profiles to the schema markup in no time. 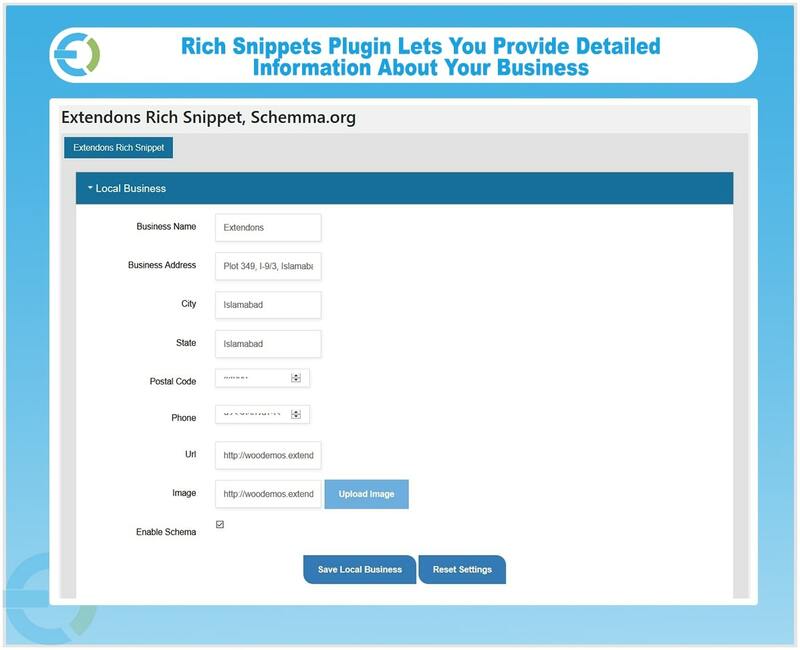 WooCommerce rich snippets plugin helps you add business details such as name, URL, Image, address, logo and social profiles as well.. This helps you gain integrity right in the search engine result pages and get you a traffic boost. 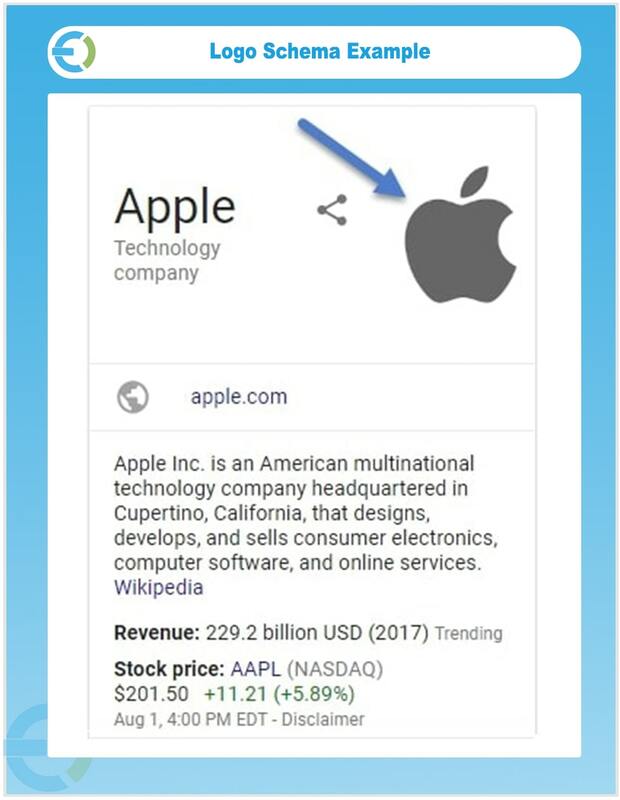 The details also appear in Google Knowledge Graph when your website tops the search engine results. You can also enable product reviews, ratings, price etc. in Google snippets. It helps to attract the customers by displaying useful information regarding the products. 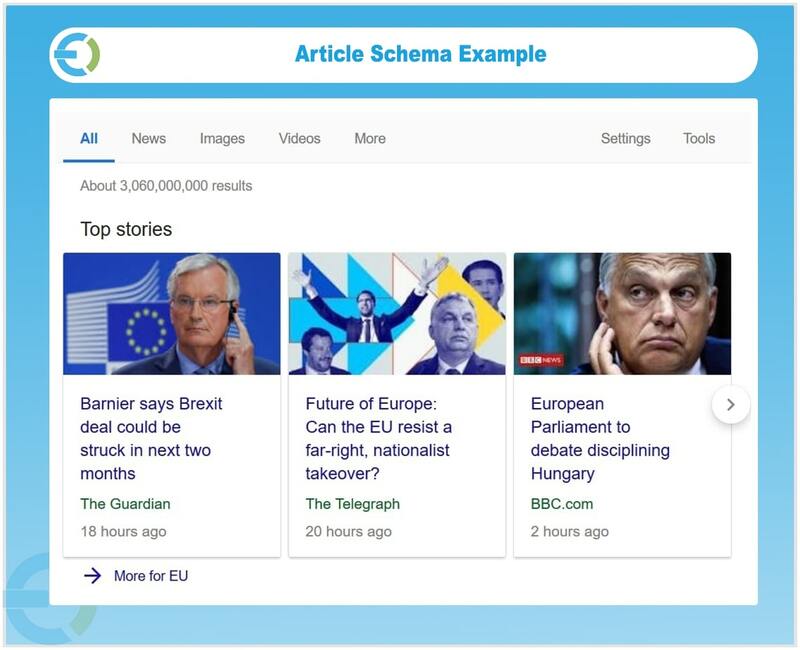 Article schema helps bloggers to display the articles in top stories carousel and Google rich results. You can display the article’ headline, 3 images and description in Google top stories carousel. 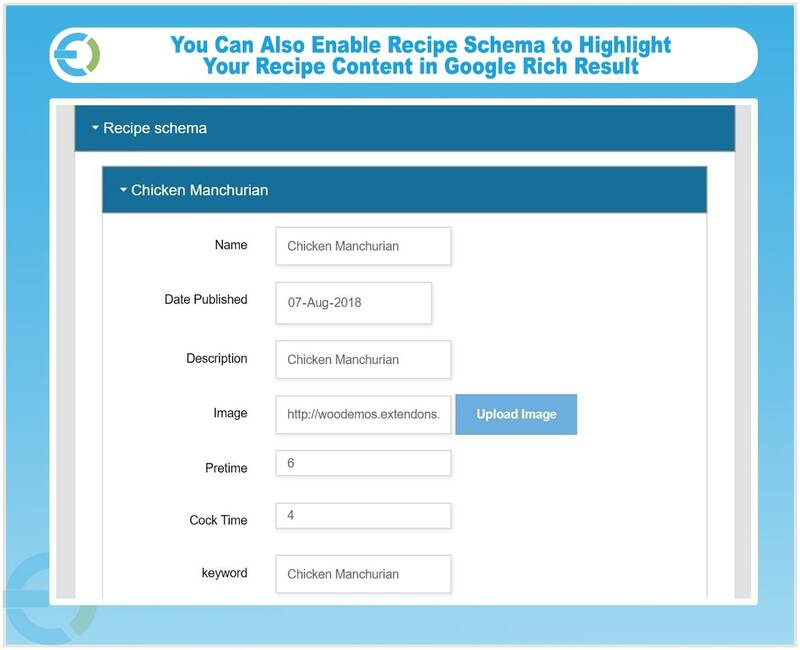 You can also enable recipe schema to highlight your recipe content in Google rich results. It displays the image, review and ratings, preparation time, cook time, and nutrition information as well. Why making the users visit your website to get the contact details? 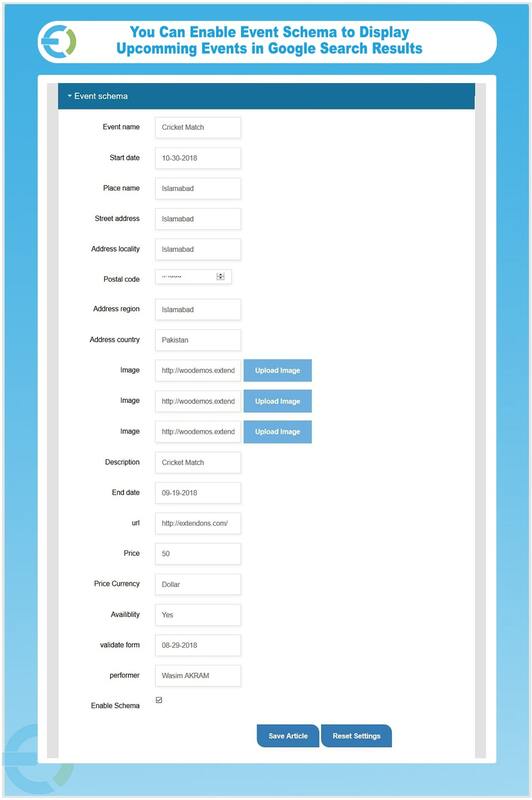 Provide them complete contact details like telephone numbers, contact types, and options, and the area served right on SERPs in a few clicks with WordPress snippets plugin. Let your customers call or text without requiring to visit the web page. WooCommerce schema markup plugin allows you to enable breadcrumbs to facilitate users in knowing the path of a web page so they can easily move around the other sections of your website. Adding breadcrumbs to web pages improves navigation and helps in SEO as well. Configure structured markup language for website links with schema WordPress plugin. It makes easy for customers to see the all website pages right in Google search results. 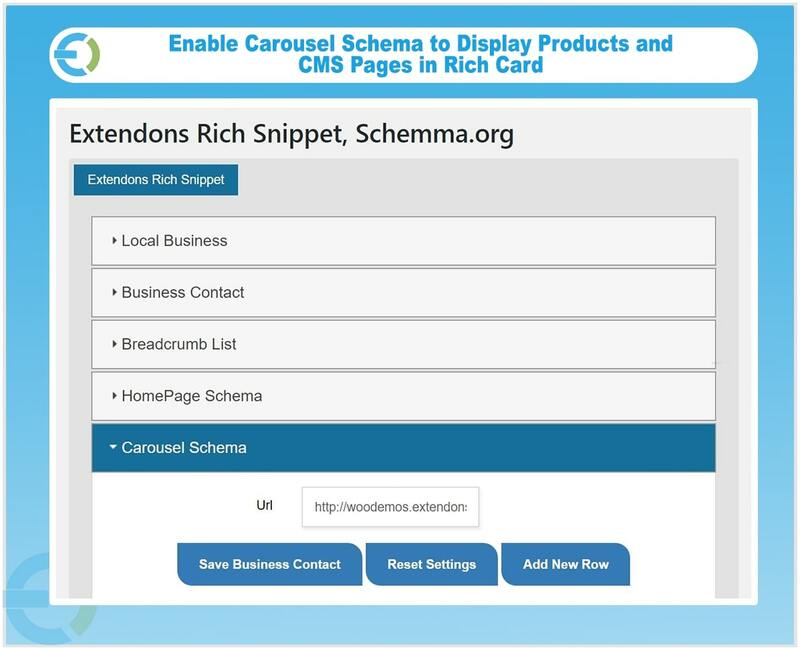 With rich snippets WordPress plugin, you can enable carousel schema to display products and images in an attractive slider right in the search results. This makes your website display more appealing and compelling for the users to click and find more about your products. 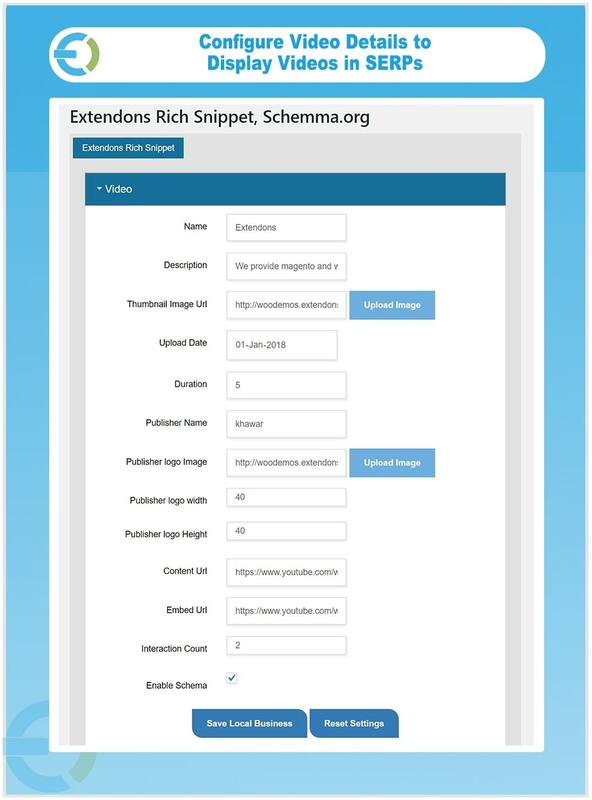 WooCommerce rich snippets plugin allows you to display the video in Google rich snippets by enabling video schema. WooCommerce snippets plugin allows you to add custom name, description, and upload a captivating thumbnail to make the users watch the useful visual content on your website. 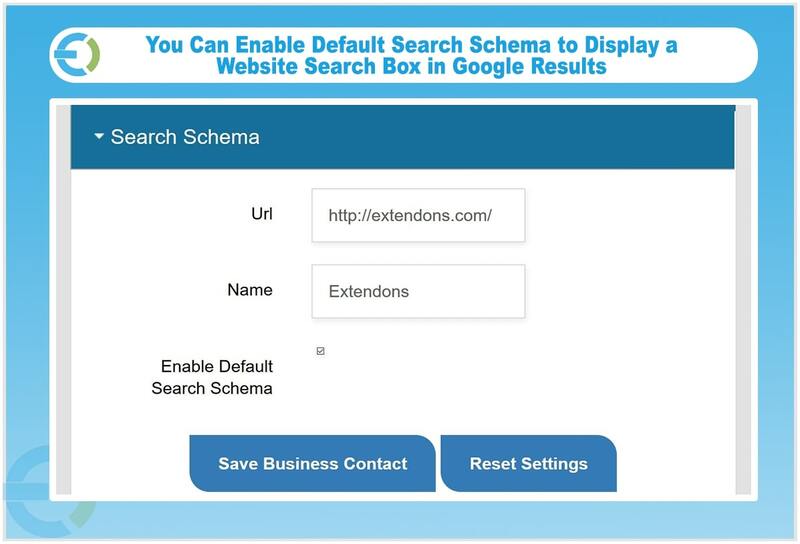 You can enable default search schema to display a website search box in Google results. It helps the users find any page of your website right on search results. It also displays real-time suggestions to the users. You can enable event schema to display upcoming events in Google search results with the help of WooCommerce rich snippets plugin. The users can easily discover the future events and register if they are interested. 1) Issue fixed with phone number format. 2) Issue fixed when adding business contact, the optional fields are set to “required”. 3) Local Business is missing price Range, Now added this. 4) All the buttons in the form says “Save Business Contact” issue has been fixed, add proper error messages for all sections. 1) Issue fixed extra color code issue #cccccc come on frontend boxes. 1) Issue fixed with the plugin listing page, extra color code issue #cccccc. 2) Fix issue with he social media optional and required fields. 1) Issue fixed with product and post featured image.